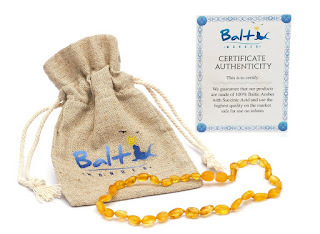 If you're looking for the perfect teething necklace, the Baltic Wonder is the one to get. This teething necklace is unique and not like your usual ones, especially like the ones you probably grew up with. 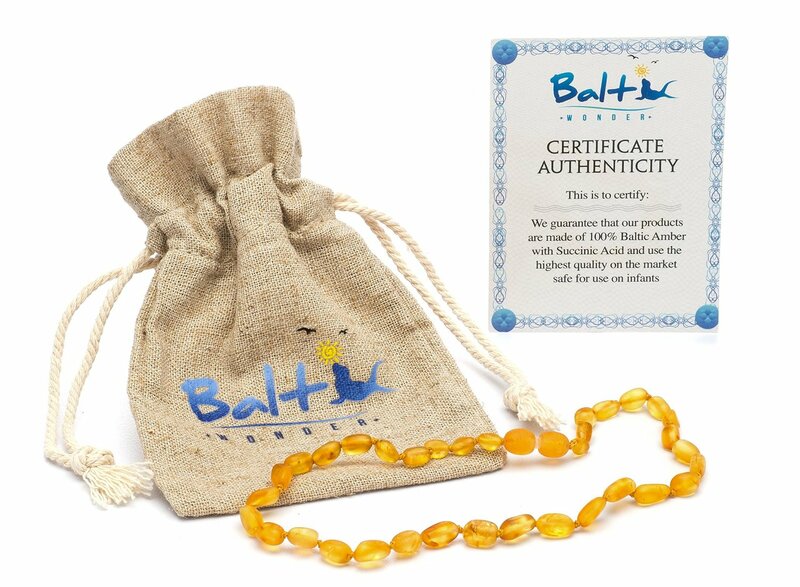 The reason is the baltic amber, which is all-natural and has healing components. The construction of this teething necklace uses an anti-inflammatory, anti-drool properties and also includes Succinic Acid, which has immune boosting properties. • Noticeable Soothing, calming effects after a few hours of wearing it and much more after a few days of use. • Natural Teething remedy without secondary effects as normal pharmaceutics drugs used for teething healing. • Recover full energy, fussiness & avoid fever from teething. • Babies and toddler looks adorable when wearing it while helping them with their teething problems. • Highest Standard Quality used for making our amber teething jewelry. • Safety knotted (Amber bead) & easy to use.